MADISON OF LONDON The ultimate 8 piece Brow System for Light to Medium colour coverage, highly pigmented formulation brow powder system a semi permanent powder, deeper colour & further density achieved with further application as required so suit the individual. A unique collection, Define contour lift and shape in a few easy steps. Perfection in a box everything you need to achieve ultimate brows, in minutes, with little effort using this MLB unique system, achieve professional brows every time. Mirrored high gloss compact easy to carry Powder compact, gold brow duo brush hand picked for the optimal results, a selection of various size brow stencils, complete with MLB precision easy grip Tweezer.Achieve Hollywood brows in a few simple steps. MADISON OF LONDON The essential must-have flawless face system, Define with highlight, Contour, like a professional. A unique collection of handpicked Beauty Brushes for perfectly blended results for the face, neck & décolletage… high definition finish. Perfect for creams, powders or beauty liquids. Complete with its own storage/travel Make-up bag. Choose this system for optimal control to sculpt, shape highlight and contour with ultimate definition. Achieve a perfect Flawless make-up finish every time. Rose gold handcrafted, densely packed with the finest natural synthetic hair, vegan friendly. Achieve professional, flawless makeup application, MLB comfort grip handles. MLB makeup bag. 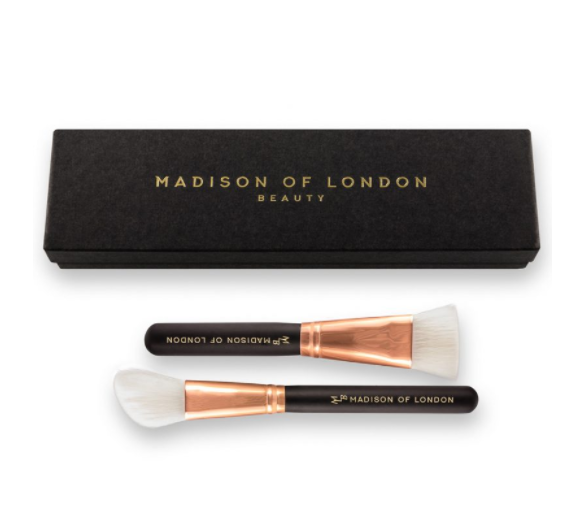 MADISON OF LONDON Contour like a pro A duo set of versatile ultra soft contour brushes, define and sculpt your face. Perfect partners, unique design flat and angled contour for optimal control to sculpt, shape and contour with ultimate definition. Perfect for creams, powders or beauty liquids. Rose gold handcrafted, densely packed with the finest natural synthetic hair, vegan friendly. Achieve professional, flawless makeup application, MLB comfort grip handles. Together with MLB presentation box easy access and storage. ‘Ritz’ contour like a pro makeup brush. ‘Mayfair’ angled contour makeup brush. 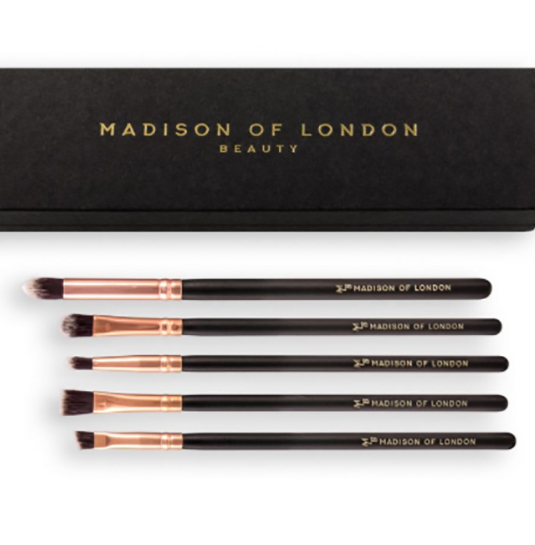 MADISON OF LONDON A versatile hand picked collection of five artistic brushes perfect partners to achieve both wide, narrow, defined, straight and angled edges, for ultimate precision strokes allowing even consistency, perfect for pigments, powders or beauty liquids. Smooth soft eye application, instant conceal or precision contour. Blend & Define system. Achieve a professional make up look each time. The perfect system compliment and enhance your beauty regime. Rose gold handcrafted, densely packed with the finest natural synthetic hair, vegan friendly. Achieve professional, flawless makeup application, MLB comfort grip handles. 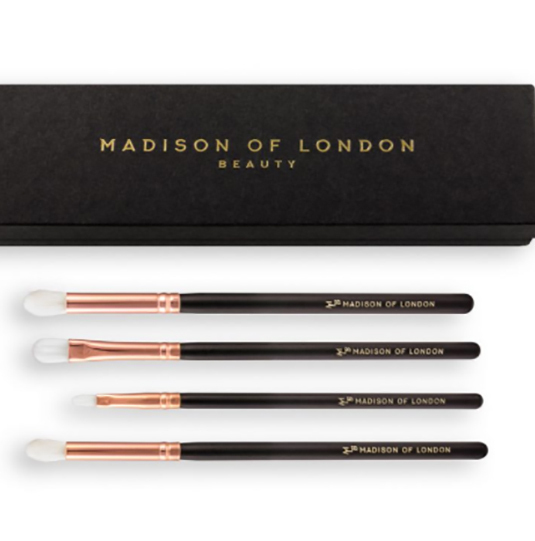 MADISON OF LONDON The perfect compliment of versatile brushes, hand picked to achieve the ultimate professional looks. Ultra soft crease blend application brush to create depth and ultimate definition & to create a truly glamorous look for the eyes. 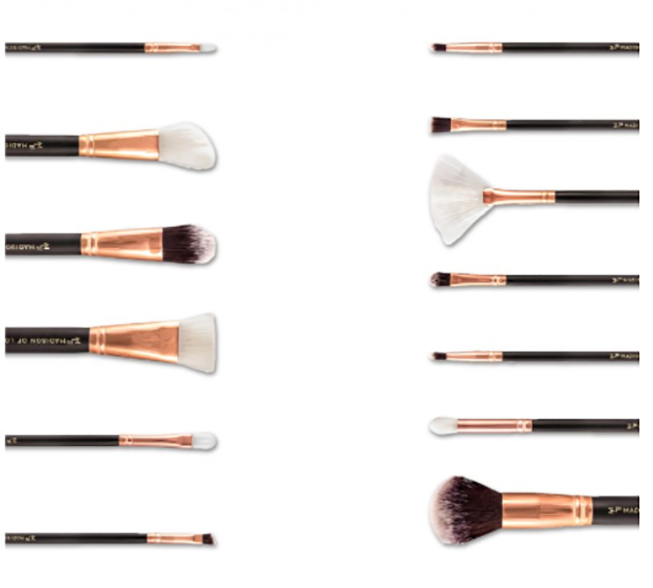 Ultra soft blend brush… perfect, blend & define your eyeshadow creating a truly, stunning look. Perfect for pigments creams, powders or liquids. Rose gold handcrafted, densely packed with the finest natural synthetic hair, vegan friendly. Achieve professional, flawless makeup application, comfort grip handle. 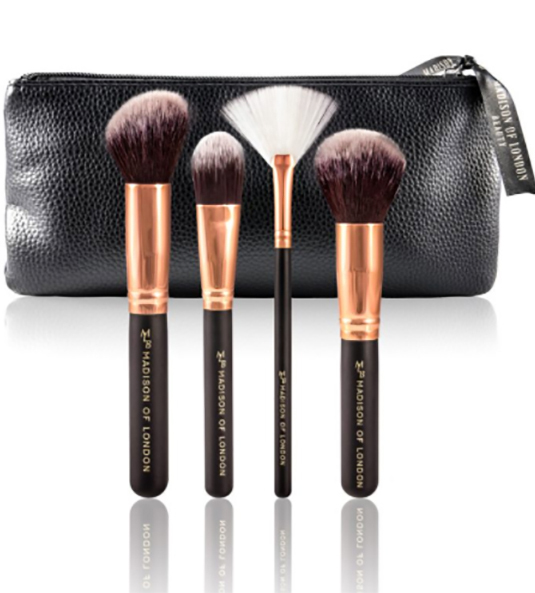 MADISON OF LONDON Introducing the ultimate Rose Empire Collection, The full compliment of ultimate luxury rose gold brushes an exclusive collection a limited offer price. Revolutionising your beauty makeup regime, giving you the confidence to achieve any required look. Get ready to customise your look, achieve flawless seamless looks for any occasion. Effortlessly create a perfectly natural look or a show stopping glamorous finish, this system has got it covered. Rose gold handcrafted, densely packed with the finest natural synthetic hair, vegan friendly. Achieve professional, flawless makeup application, MLB comfort grip handles.